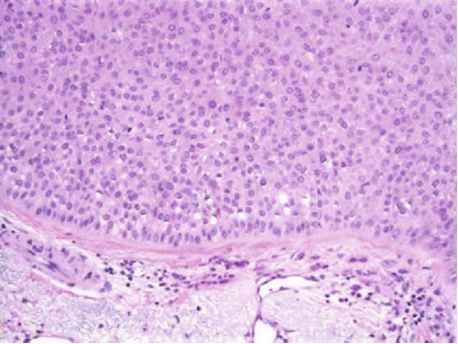 Trichilemmomas are benign epidermal neoplasms that may serve as an indicator of underlying malignancy. Trichilemmomas appear, largely on the head and neck, as exophytic, small, hyperkeratotic papules (Figure 15.1). There is no particular gender predilection and they usually arise during the second decade. When occurring as isolated lesions, these tumors are invariably benign and are of no clinical significance. Multiple trichilemmomas may occur as part of the multiple hamartoma or Cowden syndrome (1). This syndrome has an autosomal dominant inheritance pattern (2) and is associated with mutations in the pTEN gene located at 10q22-23 (3). Table 15.1 summarizes the systemic conditions associated with the syndrome (4-7). 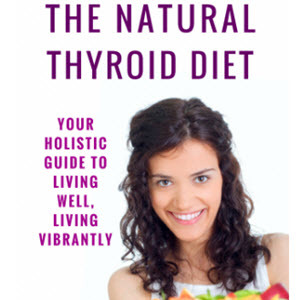 These patients develop many hamartomatous lesions, fibrocystic changes in the breast, and breast and thyroid carcinomas. The neoplastic proliferations tend to be relatively indolent and confer a good prognosis for afflicted patients. The gastrointestinal polyps do not appear to harbor malignant potential. There are isolated reports of many other neoplasms occurring in patients with the syndrome (8). 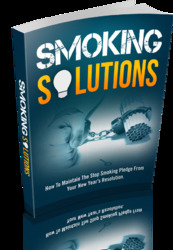 emmomas, these other processes can also be valuable clues in establishing the diagnosis. 15.3). The bottom of the lesion may have a lobulated configuration. Inward turning rete ridges may be seen at the periphery of the lesion. 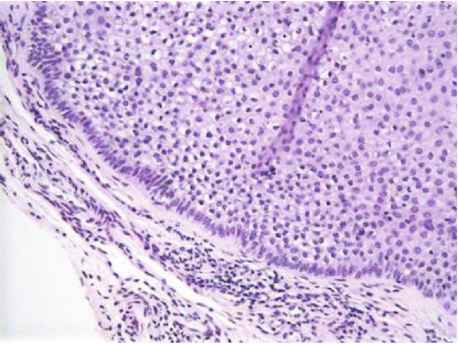 One characteristic finding is the presence of a thickened, PASD positive basement membrane immediately beneath the intraepi-dermal proliferation (Figure 15.4). This membrane is refractile. Squamous eddies are present. 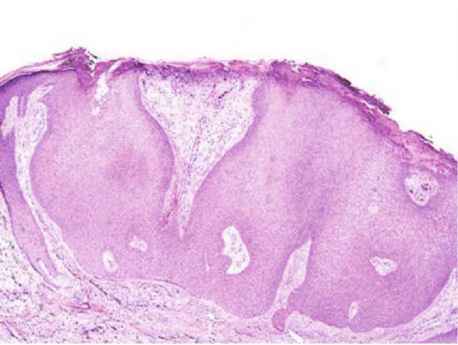 Some authors have contended that these lesions represent human papilloma virus infections involving hair follicles, but the scientific evidence for that position is lacking (10, 11). Figure 15.1. 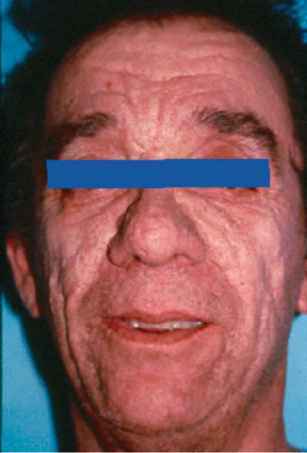 Multiple skin-toned papules distributed on the face of a patient with Cowden's disease. Figure 15.2. Low power photomicrograph depicting plate-like growth of the epithelium observed in tricholemmoma. Figure 15.3. High power photomicrograph depicting pale staining keratinocytes with basilar palisading resembling the outer root sheath of the follicle. the center of the growth, islands of proliferating keratinocytes are separated by a desmoplastic stromal response, mimicking an invasive growth pattern. Mitoses may be present. Careful attention to the overall growth pattern should prevent misdiagnosis. 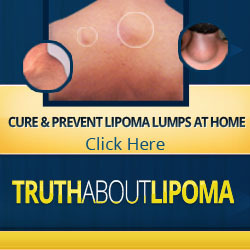 There is a very rare malignant variant known as trichilemmal carcinoma. This neoplasm invades the dermis and is characterized by abundant mitoses, including atypical variants, zonal necrosis, and marked cytologic atypia. Figure 15.4. High power photomicrograph depicting the prominent eosinophilic basement membrane surrounding the tumor periphery. sparse proliferation of spindle-shaped cells that grow in a storiform pattern. 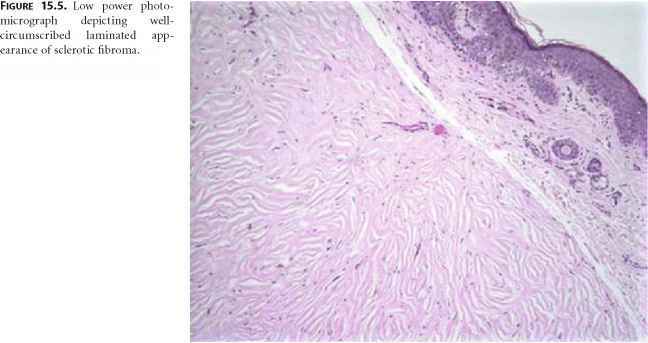 Dense, keloidal collagen is present between these cells in a pattern that has been described as resembling plywood (Figure 15.6). The exact nature of this process and the dermal cells is not fully established. Some investigators believe these lesions to represent endstage lesions of dermatofibromas (12), while others maintain that they represent de novo growths (13). 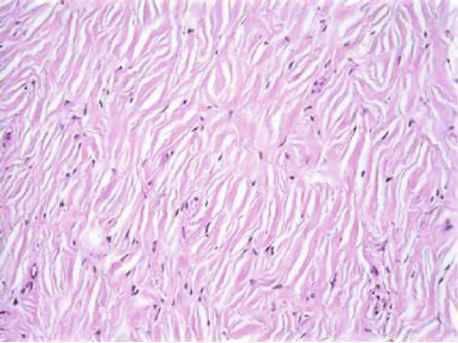 Sclerotic fibromas may occur as sporadic lesions unassociated with Cowden syndrome (14). Figure 15.6. High power detail of the sclerotic fibroma.